Baby stroller doesn’t have an easy life. You take it over cracked sidewalks, grass, gravel or even sand, it heats up during hot summer days and gets wet in the rain. There’s always some juice that spills out and muddy shoes that leave stains on the seat fabric. 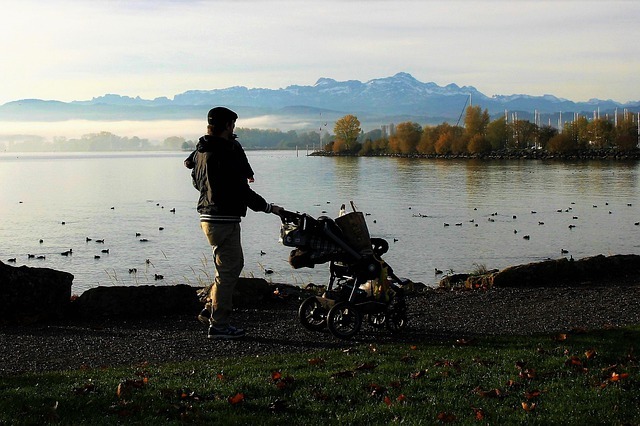 It’s time to find out how to clean and take care of the stroller properly! Modern strollers are designed to be user-friendly and thanks to some simple tricks you can easily clean and maintain them. Are you wondering how to take care of your stroller so it could serve you for couple of years and more than one child? Here are my 10 tips for making your stroller sparkling clean and durable for years! I know that user manuals are BORING and baby stroller doesn’t seem to be super complicated, but you should check the manual anyway. You can find there some useful information which will help you to avoid few problems, for example: information on maximum capacity of the stroller seat and storage basket, maintenance tips, as well as information on how to assemble and fold up the stroller properly. After walk on sandy beach, gravel or wooded trails you should remember about cleaning the wheels. Remove the sand, gravel and mud from the wheels as well as from the frame (especially from the connecting points because wet sand can damage them and the folding mechanism may stop working). Usually the frame on baby stroller is prone to scratches (especially on cheaper models) so you should be very careful during cleaning it. Use the wet cloth or delicate sponge. If you have a stroller with air-filled tires you should regularly check the pressure in tires (there are information about proper pressure in the user manual). If the pressure is too low, the rubber that the tire is made of, wears out faster. To check if there’s enough air in the tires you can use car tire pressure gauge or you can just pump the tires so they won’t bend under the weight of your little passenger. If the upholstery is removable and machine-washable, you should take it off once in a while and throw into the washing machine. Check in the user manual which detergents you can use (they should be delicate and appropriate for infant’s skin) and the temperature of water that you can wash the seat fabric in. Don’t wash the seat in hot water because it will fade and deform. Manufacturers recommend using dry teflon spray – after you spray it on the frame, the solvent evaporates. It works great because the dust and sand don’t stick to it (like it often happens with WD-40). It’s very important because dirty grease may damage the rivets. Check in the user manual seat and storage basket capacity and stick to it. If the basket can hold up to 10 lbs and the seat can accommodate a passenger up to 45 lbs, don’t exceed it, because it may decrease stroller’s stability, make it tip over or even break! Pay attention to weight distribution: if you have a small infant in the seat and you hang a heavy diaper bag on the handlebar, the stroller will fall backwards. Generally speaking it’s better not to hang anything on the handlebar, because it decreases stroller stability. Plastic parts are prone to break when you put the stroller in and out of the trunk frequently or when you overload it. Check if there are any splinters or debris on the seat which could hurt the baby or damage the stroller. 10. When you repair something, do it right! If you need to repair the broken part of the stroller do it right – if you only fix it temporarily it may cause other parts to break down and, what’s the most important, your baby’s safety will be in danger! If you don’t know how to repair broken wheel or canopy or the breaks don’t work and you don’t know what to do, contact the nearest service (things like wheels and tires may be fixed for example in bike service).